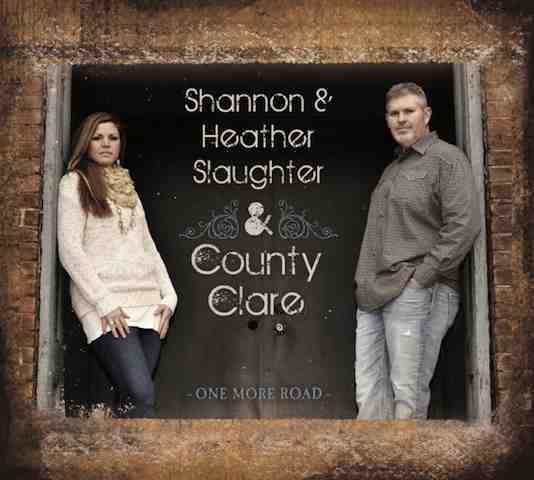 Shannon and Heather Slaughter & County Clare are proud to announce “If I Were A Carpenter as the second radio single release from their album, One More Road. They perform an outstanding bluegrass version of this Top 40 hit song written by Tim Hardin who sang it solo at Woodstock in 1969. This American Folk classic has been covered by the likes of Bob Seger, Bobby Darrin, Johnny Cash & June Carter Cash, The Four Tops, Robert Plant and Rod Stewart. “Bluegrass fans that aren’t familiar with Heather’s soulful vocals are in for a real treat. She and Shannon are both top-flight vocalists, and they make a truly delightful duet in every way. I, for one, am excited about seeing where their music takes them over the next few years. I predict big things – Tim Stafford, Blue Highway. ONE MORE ROAD was released in March on Elite Circuit Music and includes the first single, “The Lives of the Innocent” that appeared numerous times on Bluegrass Today’s Top 20 chart. This Civil War anthem, written by Shannon, features his vocal strength, range and dynamic guitar playing highlighted by Heather’s soulful tenor singing. Band members John Boulware (fiddle, vocals), Blake Bowen (bass, vocals), Casey Murray (banjo, guitar, vocals), Heather Slaughter (mandolin, vocals), and Shannon Slaughter (guitar, vocals) are now on tour including upcoming performances in Charlotte, MI; Greenwood, SC; Lexington, KY; Worthington, OH; Marshall, IN; and more.